In its six years thus far, the MCHS Theatre Department has earned a reputation for putting on stellar shows, each one seemingly bigger and better than the last. This spring’s production of Newsies was no exception, selling over 2,000 tickets for its three show times, a record high. Set in turn-of-the-century New York City, Newsies follows charismatic newsboy Jack Kelly and his fellow teenaged “newsies.” When the city’s big newspaper publishers raise distribution prices at the newsies’ expense, Jack rallies newsies across the city to strike and fight back. 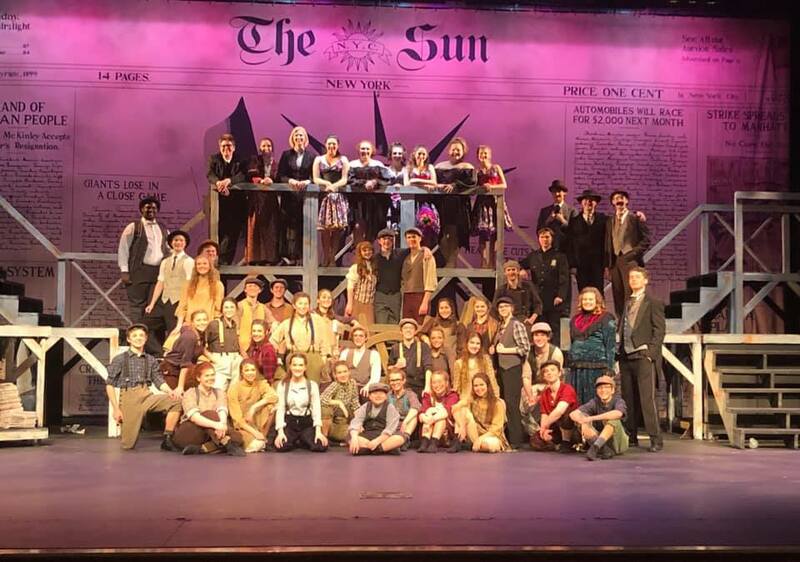 McCracken’s production of Newsies involved over 60 students, including 51 cast and 11 crew. Bowden said that while past productions have flirted with the 2,000-ticket mark, hitting 2,000 tickets sold this time was a first. All funds from ticket sales go directly back into the program to support future productions. Bowden said her theatre students are already asking about their next production. They’re on such a high from Newsies, she said, they’re ready to get started on their next show. Whenever she’s choosing the next play or musical, Bowden likes to keep two things in mind: variety, and use of McCracken’s incredible talent. Newsies was a great fit this spring, because it was a more modern, contemporary musical in contrast to the fall’s classic Hello Dolly. Plus, it gave them a chance to use MCHS Dance Coach Wheeler Hugh’s incredible choreography skills, she said. So while the fall 2019 production is yet to be determined, you can bet it’ll be fresh, full of talent, and bigger and better than ever.